Avicii passed away at the age of 28 in Muscat, Oman. Avicii “Wake me up” song gave me a sweet and sour taste during my ride to work this morning. One of my friend from home visited yesterday and gave me the sad news. The renowned DJ Avicii, born Tim Bergling, passed away on the 20th of April at the age of 28, leaving his family, her girlfriend, her son and his fans with a huge heart pain. Myself, I felt really sad and confused. Why? What happened? He was so young and successful!! With some research, I got to know that he took his own life in his hotel room with a sharp glass. His parents said that he was a “fragile artistic soul and a sensitive guy not made for the machinery he ended up in”. He was mentally unwell and decided to stop touring in 2016. Avicii, born Tim Bergling, took own his life at the age of 28. I remember when I was living France, in summer 2015. I used to live in a beach town called Les Sables d’Olonne during my studies. I had a one bedroom apartment and always had friends over. In that summer holidays, we would wake up late, open wide the windows and play music video clips on the TV while getting ready to go to the beach. Avicii’s music was our top songs. We would play it in my pink Suzuki and sing wrong the lyrics in our french accent. I would like to say thank you Avicii for being a part of those memories. I hope you found peace in The Afterworld. Have you noticed the smiles on people’s face when you walk around? The nice weather has arrived! You can now enjoy a walk in the park with your doggo, have drinks in terrasse, organize a picnic in the park, relax and feel the grass under your feet… What delicious sensations! But for that, forgot your sneakers and stilettos (unless you wanna sweat or do gardening!). Get yourself some sandals that you are comfortable with. For my part, I fall in love with the design of the white Birkenstock Papillio with the large platform. Super comfortable and super trendy, I can wear it with a pair of jeans, shorts, and skirts. Super easy! You can find it on our website in white or black at the link below. Price? £65! What’s your shoe choice for this weekend? This week we take you back to the 80’s when some of your favourite styles first hit the tracks, courts and streets. Still going strong today, here’s our selection and their modern day versions. The Superstar started life in 1969 on the basketball courts of the US. The first shoe for ‘ballers’ that featured leather uppers and the legendary ‘shelltoe’ rubber toe protection became a hit with 75% of NBA players by the 70’s including ‘Game of Death’ and NBA star Kareem Abdul-Jabbar. Fast forward to the 80’s and hip hop heroes Run DMC pushed the shoe and the adidas brand into the Hall of Fame with their song ‘My adidas’. Never dated and still stylish as ever, its hard to believe the Superstar is nearly 50 years old! Nike introduced the Air Force 1 to the world in 1982 and was the first basketball shoe to feature a heel air pocket for cushioning and support. The shoe was a revelation and a huge improvement on what players had used previously. Test shoes were handed out before production and legend has it that many never came back to the Nike boffins they were that good!. Like many styles of that era, the AF1 was shelved after two years but returned in ’86 and has stood the test of time since. Now coming into it’s 35th year the shoe named after the President’s plane features in low, mid and high versions with over 2000 different colour and ‘collab’ variations. Any sneaker-head worth his salt should have an AF1 in his locker. The 80’s, a huge decade for music but also for the almost continuous production of sneaker styles that hit the gyms, tracks, streets and for one style, the dance halls of those heady years. When you mix Hip Hop and Puma you get the Puma States. Named after its birthplace, the States was eventually adopted and loved by the UK Hip Hop community due to its no nonsense low profile style and the addition of hard to find fat laces. Essentially no different from the Puma Clyde or Suede, the shoe went on to feed the desire of the 80’s Casual scene and became a part of sneaker history. Another shoe that just never tires and continues to hold a place in the hearts of veteran B-Boys and fashionistas alike. When it comes to a claim to fame, the Nike Air Max 87, or Air Max 1 as we now commonly call it, started one of the most important trends in footwear design, visible Air. Designed by the now legendary Tinker Hatfield, the Max 1 was partly inspired by the Centre Georges Pompidou building as Hatfield wanted the air pockets to be visible from the outside against the wishes of many at the brand. Hatfield persisted and a design classic was spawned. Now 30 years old, the Max 1 continues to be as popular as ever and Air Max Day is celebrated by sneaker-heads across the world yearly. When the jogging craze started to wane in the 80’s no one saw the next fad more than Reebok who introduced a shoe specifically designed and marketed for women called the Reebok Freestyle. With millions embracing the new Aerobics craze of the 80’s, women and men across the world donned lycra, leg warmers and the Reebok Freestyle which by 1984 accounted for half of Reebok’s worldwide sales. Imitators tried but the Freestyle blew away the competition and fuelled a sports craze that continues to this day. Fast forward to the present and the Freestyle is still in production. Jane Fonda might be gone but hunger for the Freestyle never wanes. Initially designed for runners of the day, the Nike Pegasus design team were briefed to produce an affordable air training shoe for the masses. With nylon and suede uppers, waffle sole and a $50 price tag the shoe offered flexibility and comfort like no others at the time. Over the years the style has been rehashed and upgraded but its the present day’s desire for ‘retro runners’ that fuels the demand for the Pegasus 83. The ‘Peg’ just looks great however you wear it! This week we take you back to the 70’s when some of your favourite styles first hit the tracks, courts and streets. Still going strong today, here’s our selection and their modern day versions. Originally unveiled in 1972 where it was being worn by Team USA at the Munich Olympics, the Nike Cortez catapulted Nike Inc into the mainstream and onto the feet of millions looking for comfort and understated style. 45 years later and countless film cameos later, the Cortez still fits the bill and looks as good as ever. Around the same time the Cortez was appearing on running tracks, the Nike Blazer made its debut on the NBA basketball courts notably on the feet of George ‘TheIceman’ Gervin. A simple design with the large Swoosh, the Blazer over the years has featured in suede, canvas and leather with high or low versions. Collaborations with the likes of Stussy and Futura have only increased their appeal. A ‘3 pointer’ shoe if there ever was one! The 70’s was a great decade for sport with tennis featuring heavily. In 1973 adidas approached the American player Stan Smith to endorse a shoe called the adidas Haillet which was named after retiring Frenchman Robert Haillet. The shoe was renamed the Stan Smith and went on to sell in the millions. Now less likely to be seen on the courts, the shoe has become a fashion mainstay due to its subtle design and versatility. In 1966 the Van Doren Rubber Company started footwear production and continues to this day as Vans. The business started selling basic deck shoes but by the70’s a shoe named ‘Style 38’ with its groundbreaking style had taken skate functionality to a new level. Eventually known as the Sk8-Hi, the shoe has become a fashion staple and is worn the world over. Available in many versions from the classic to the MTE winterized versions. Who would have known that a shoe made for handball would go on to become a global fashion classic worn by athletes as well as subcultures alike. In the 70’s adidas pushed the boundaries with dyed suede uppers and was initially only available in red or blue. Over the years the style has been tweaked and various colours added but the Gazelle DNA remained. Today’s versions stay true to the original design and after 50 years who can not resist a pair of Gazelle’s? FASHION WEEK IS COMING IN BIG STEPS! Check out our guide to what to wear this season. Choose from 11 different styles and outfits to rock your look on one of the most important weeks of the year. Whether your feeling casual, elegant or arty we’ve got you covered! Shopping for Christmas gifts can sometimes be a little hectic. If you have not yet done all your shopping, you needn’t worry as we have created the perfect gift guide. Whether you are shopping for shoe fanatics or Disney lovers, we have something for everyone even your little tots. Slippers are always a good idea especially during winter. We love the Toms slippers which are available in different patterns and colours. If you are buying for someone who loves to travel we have the perfect items below. Socks are one of the best stocking fillers. Let the force be with them on Christmas day with our Star Wars range. Easily team up a pair of slippers with some of our fabulous socks. We know how important looking after your shoes are which is why we stock several different shoe care kits. The one pictured above can be used for Red Wing shoes and we definitely recommend it. It contains a leather protector and cleaner, a soft and hard brush and a neutral boot cream. 5 shoe accessories in one box! The release of Vans X Toy Story will make Christmas even more special this year. The collection is designed to celebrate the original characters from the Disney Pixar movie and they even have ‘Andy’ written on the soles of the shoes. Instead of using a gift bag we love to fill a backpack with goodies for our little ones! Treat your littlest ones with some adorable shoes they can wear all year round. We can’t help cooing over the mini versions of our trainers! If you are looking to find something more exceptional, below we have selected some of our exclusive items. With Christmas only a few weeks away it is the perfect time to bring out our favourite festive music. Whether it’s carols that you love or Mariah Carey’s famous ‘Merry Christmas’ album we have chosen the top 10 much-loved Christmas songs. Originally written by John Frederick Coots and Haven Gillespie, Santa Claus Is Coming To Town was first played on Eddie Cantor’s radio show in November 1934. Over the years there have been many covers of the popular hit. Check out Bruce Springsteen version below. Similar to number 10 above, this famous song has been covered many times over the years. The song was written in 1951 by Meredith Willson and was a huge hit for Perry Como and The Fontane Sisters with Mitchell Ayers & His Orchestra on September 10, 1951. This well known Christmas Carol first appeared in 1739 and was written by Charles Wesley. The original has slightly changed since it was first written yet the popular version is the one we know and now love. The Pentatonix jolly and fun version is on our playlist. In contrast to the others so far, this song was first released in 2003 by British hard rock band The Darkness. What we love about this song is that it follows the usual structure of Christmas songs as well as Justin Hawkins’ (the lead singer) falsetto vocal range. We definitely can’t forget this one! Brenda Lee first recorded Rockin Around The Christmas Tree in 1958. The upbeat song has a rock and roll sound with a swinging saxophone solo part. The pop song was first released in 1985 by Welsh singer-songwriter Shakin’ Stevens. It reached number one the year it was released and has been one of the best selling Christmas songs of all time. This is an oldie but certainly a goldie and it was first released in 1945 by Sammy Cahn. It’s the perfect song to listen to sitting by a fire drinking a delicious cup of hot chocolate waiting for snow to fall! Reaching number one in 13 countries around the World, Do They Know It’s Christmas sold around 2.5 million copies. The song was written by Bob Geldof and Midge Ure in reaction to the famine in Ethiopia. As one of Mariah Carey’s biggest international success, All I Want For Christmas Is You sold over 14 million copies making it the 11th best selling single of all time. Carey’s incredible voice along with the melody make this beat unforgettable. Sung by English pop duo Wham! Last Christmas is an epic Christmas classic played everywhere without a doubt. The song has been covered by artists all over the world endlessly since its release in 1984. We all know Rihanna always rocks the best trainers. Her style is sassy, on point and with the right attitude. As her career has grown, her fashion has flourished and she is idolised by millions of people all around the World. Love it or hate it, she has collaborated with several successful brands known worldwide. From the upscale Dior to high street brand River Island, Puma to Stance, Rihanna has had her fair share of fashion influence. In this post we have chosen our favourite Rihanna looks and we’re here to help you imitate her flashy, fierce style. Pictured above, Rihanna is seen wearing high top Adidas. 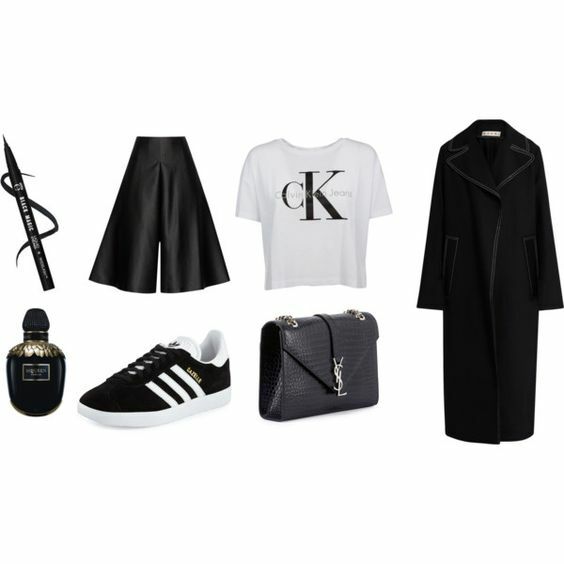 You can steal this look with the Adidas Stan Smith Mid trainers. As seen on Rihanna, these can be worn with almost anything. From jeans to skirts, shorts to your favourite track suits, these white/green colourway trainers are a perfect add on to your wardrobe. To compliment this look we have also chosen the Adidas Superstar trainers. Although these are not high tops, they imitate the Adidas stripes and are a timeless classic. Here, Rihanna is the epitome of sassy. Her edgy hair cut and leather trousers are a flattering look along with her trainers. Taking inspiration from the bold logo on her suede shoes as well as the creeper sole, we have chosen our Nike Air Force 1 Upstep. If you prefer colour as Rihanna has, you will love our Light Green Air Force 1’s. We believe mint green and pastel green is always a fashion forte. Damn, Rihanna back at it again with the Vans. If you have seen the internet sensation “Damn, Daniel” you will know what we’re referring to and we love Vans. 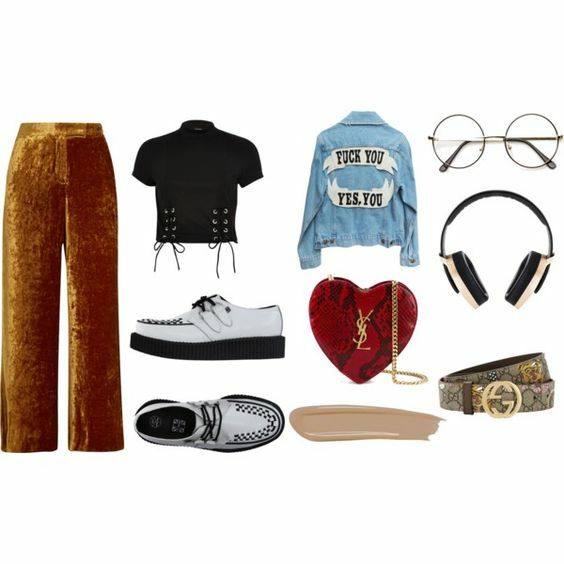 Here, Rihanna is pictured “Running this town” with “all black, everything.” Sporting a cool Varsity bomber and the lace-up Vans, Rihanna is a vision of American style. 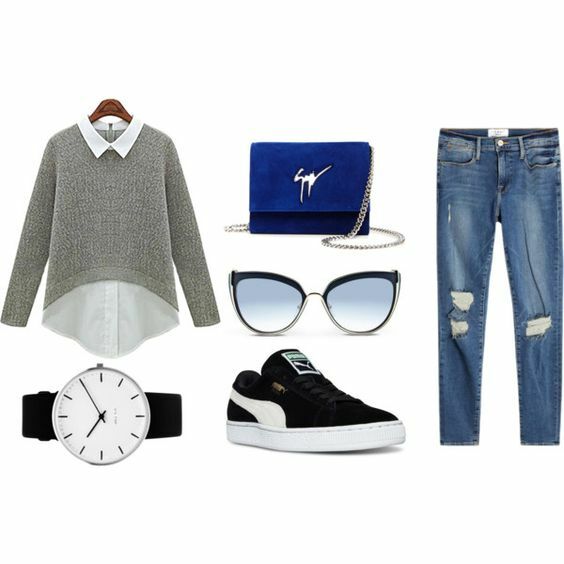 Steal this look with our choice of the Authentic Ladies Vans. This classic shoe is a signature piece in any wardrobe. Just when we thought she couldn’t be any more unique she brings out her New Balance sneakers. Selecting black and beige tonal colours for a more casual outfit, Rihanna has opted for a pair of New Balance trainers. Here, we have chosen the WL574 and WL565 styles to match Rihanna’s look. The WL565 shoe, sports an athletic style with breathable textiles and lightweight ventilation. Whichever Rihanna look is your favourite, there is always a distinctive touch to each appearance making this relatable to so many of us.